How Will Technology Transform the Industrial Workforce Through 2025? 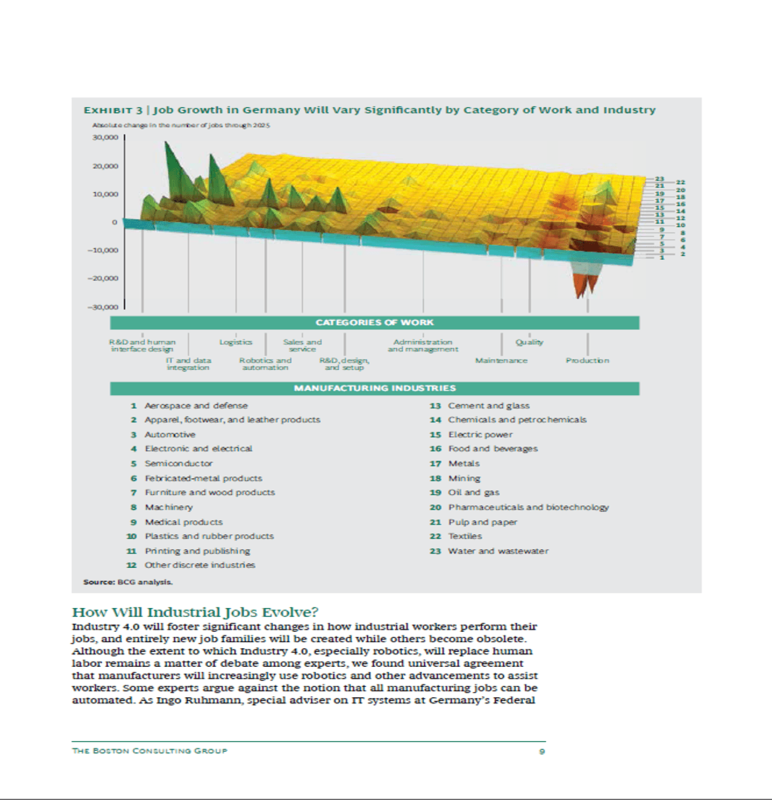 In this report, we examine how man and machine in Industry 4.0 will alter the landscape for manufacturing jobs through 2025. We present the results of a quantitative modeling of the labor market’s evolution, as well as qualitative insights gleaned from discussions with a wide variety of experts. 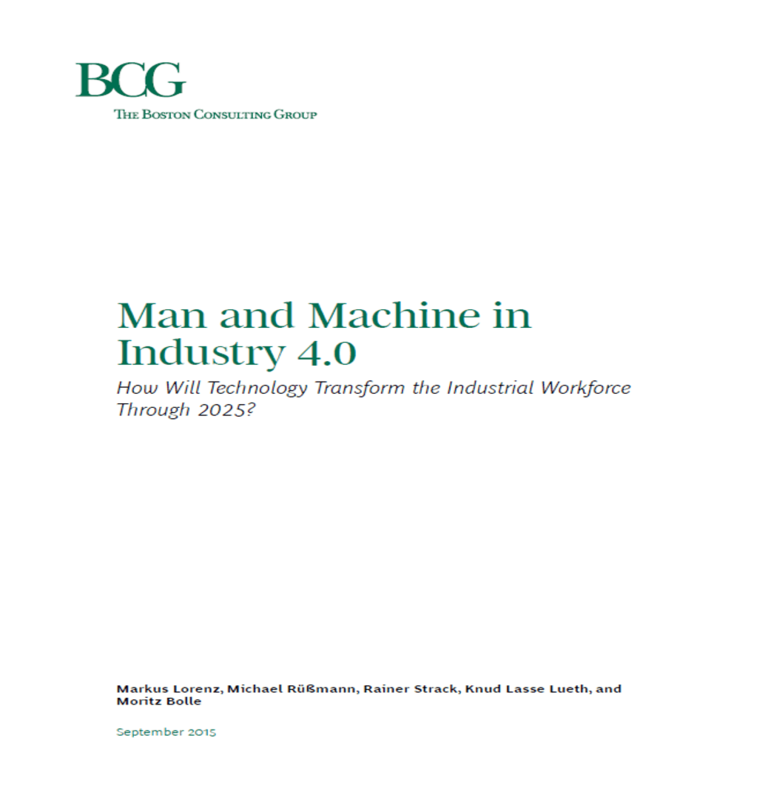 Applying these findings, we offer recommendations to leaders in business, education, and government for how they can foster the adoption of Industry 4.0 and thereby enhance the productivity and growth of the industrial workforce.